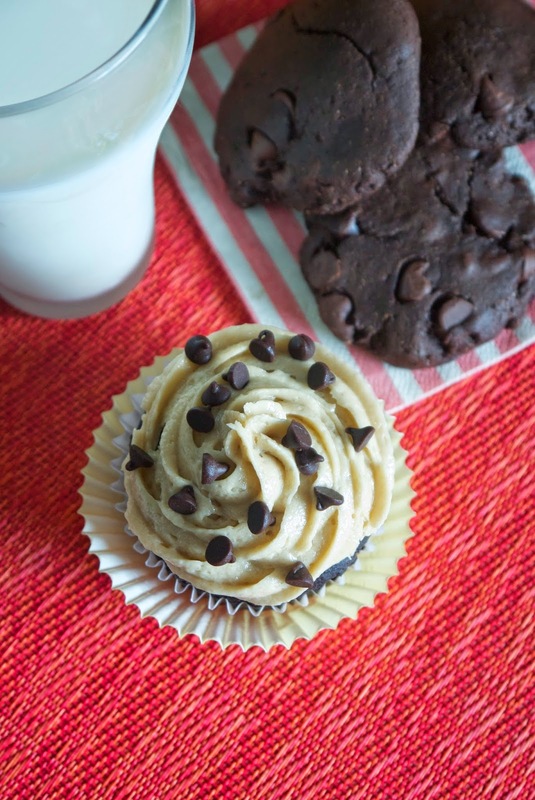 These chocolate cupcakes are made with avocado, topped with eggless cookie dough frosting, and taste like a chocolate chip cookie combined with a double chocolate chip cookie! I know, I know – I’m putting weird things in my recipes again. But I swear to you – no one will have any idea there is a vegetable in these things unless you tell them. I promise. They’re moist, and rich, and chocolately, and amazing. It tastes like you’re eating a chocolate chip cookie combined with a double chocolate chip cookie. And for me, that’s the best of both worlds. Because… chocolate. And more chocolate. The best part is that the frosting tastes exactly like cookie dough, but it doesn’t have any eggs in it so you don’t need to freak out and think I’m forcing you to eat raw cookie dough and you’re going to die (although, who hasn’t? Yeah. I’m looking at you.). One thing I will say about these and you won’t need to worry about eating the whole batch yourself – they’re very filling, so one will be plenty (which is good for your health, and other people that live with you because they’ll get to eat them, too). But they are so good you’ll probably just sit there with your empty wrapper, staring at the others and whimpering over the fact that you can’t make room for another. I think that’s an okay problem to have. 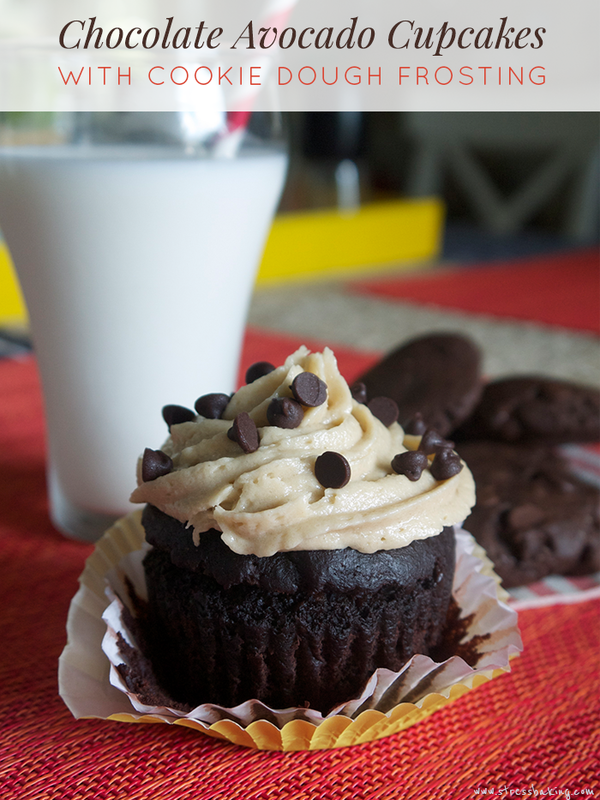 Go make these and you can thank me later after your cupcake coma. In a large bowl, mash avocado to make it as smooth as possible. You can toss it in a food processor to get it really smooth if you’re low on time (or energy). Now add sugar, vanilla and water, stir to combine until smooth with wooden spoon. 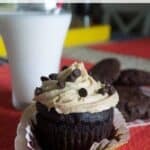 Using a 1/4 measuring cup, pour batter into cupcake liners until almost full. Bake for 17-20 minutes (I only needed 17). A toothpick inserted into the center should come out clean, and the tops should be cracked a bit and spring back when touched. Move to wire rack to cool completely. In a large bowl, beat butter on high speed until smooth and creamy. Add brown sugar and mix on medium speed until well combined. Now add flour, vanilla and salt and beat until well combined on a low speed. Lastly, add milk and beat until well combined and smooth. Spoon frosting into piping bag fitted with your tip of choice and frost cupcakes. Garnish with mini chocolate chips. Serve and enjoy!